At our house, we don't even want to think about life before Pampers Kandoo products! Pampers Kandoo allows little ones to improve their personal hygiene, and increase their self-esteem all at the same time. There is also BrightFoam® Body Wash, BrightFoam® Shampoo, and BrightFoam® Handsoap available in the Magic Melon and Funny Berry fragrances. This makes bath time and hand washing extra fun since these foam up in neon bright colors and smell super yummy! AND NOW FOR A MONEY SAVING HEADS UP! 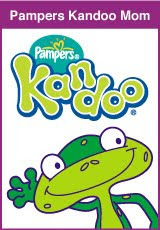 This Sunday – April 3 – there will be a $1 off any Kandoo product coupon in the P&G brandSAVER in local papers. The Kandoo coupon can be found next to the Pampers coupons in in the P&G brandSAVER insert, which is in most Sunday newspapers across the country. Yippee!